Nature photography is a wonderful hobby and an important tool in raising public awareness and promoting the importance of nature preservation. 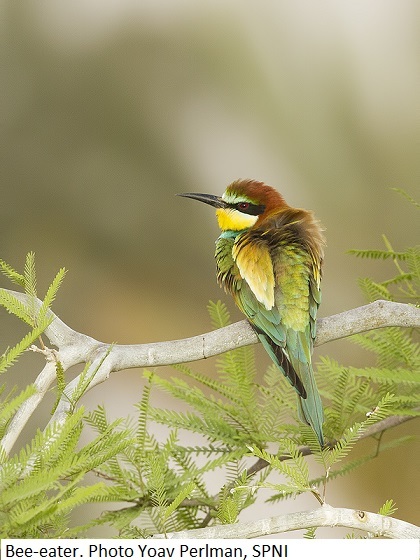 Israeli nature photographers are incredible lovers of nature and will do everything possible to safeguard it. However, the proliferation of photographers in recent years, as well as the immediate exposure of their nature photography via social media platforms, has set the stage for dangerous acts, serious disturbances to wildlife caused by the photographers themselves. The purpose of this document, which was jointly written by the Israel Nature and Parks Authority, the Society for the Protection of Nature in Israel, and the Israeli Society of Nature Photography, is to establish an ethical code of conduct for nature photographers in Israel, providing them with guidelines for how to photograph wildlife, specifically birds, without harming them or their habitats. In addition, we call upon all photographers to read the guidelines drafted by the Israeli Society of Nature Photography and practice them whenever they are out in the field. Photography of nesting birds is always unacceptable and such photos will not be approved for submission or displayed at any photography contest, exhibition or leading nature photography forum. Nests and nesting grounds are off limits and should not be approached under any circumstances. In addition, nesting birds engaged in incubation, feeding young hatchlings, etc. must also be avoided, as they will be impacted by indirect disturbance to the nesting area. Altering the nesting area to facilitate photography is strictly prohibited. Any changes to the landscape, including adding or removing twigs, pruning or “staging” the immediate environment of a nesting site, disturbs the nesting birds both directly and indirectly. Digressing from marked trails and riding in all-terrain vehicles into natural habitats can cause severe damage to plants, insects, reptiles, rodents and ground nesting species. As such, these actions should be avoided and all signs and instructions from the authorities, such as Israel Nature and Parks Authority and others, should be obeyed. Nature photographs should avoid assembling in large groups in bird habitats for a prolonged period of time, especially in the case of “attractions,” such as migrating or rare birds that stopover to eat and drink. Even if not immediately apparent, the presence of multiple photographers in the same place causes ongoing damage to the environment and negatively impacts the birds’ ability to survive. A good nature photographer is familiar with the wildlife he/she photographs. All nature photographers should make an effort to consult with professionals to get to know the wildlife they are photographing and learn about their vulnerabilities and the threats to their survival, so they can avoid making mistakes they will regret after the fact. 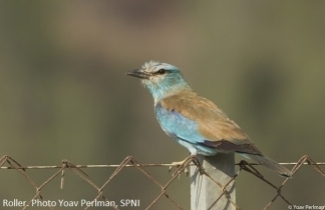 Birders are encouraged to contact the Ornithological Centers located across Israel to learn about restrictions in certain areas and receive tips to enhance their photography experiences. As a result of the diversity of bird species, variations in their general vulnerability (risk of extinction level), susceptibility to the presence of humans, and the accessibility of the general public to their nesting areas, additional specific guidelines are necessary. Please avoid entering nesting quarries, both on foot and by vehicle, from March 1 – July 30. The following species nest in quarries: European bee-eater, Eurasian eagle-owl, little owl, roller and others. The presence of photographers and birders in these nesting colonies are a definite disturbance to the natural nesting process. Even if the damage is not immediately apparent, the presence of humans will take its toll on the success of the nesting cycle, the frequency of feeding the hatchlings and so on. Please avoid photographing the Houbara bustard during the breeding and nesting season, between January 1 – May 30. As a general rule, always avoid driving off the main roads, as it endangers ground nesting species. Please avoid photographing barn owl's nesting boxes and their surroundings. The use of camera flashes and other lighting causes a severe disturbance in feeding the chicks. These guidelines will be updated and published annually, according to a professional assessment by experts from the Israel Nature and Parks Authority and the Society for the Protection of Nature in Israel. Distributing periodic updates and guidelines to photographers in order to both advocate for ethical photography opportunities and raise awareness about vulnerable and sensitive species and habitats that should be avoided. Establishing a system for regulation that will provide clear answers for those unsure of the proper protocol, as well as collect actionable data in cases where nature was harmed by photography activity. Developing a project to construct authorized bird hides for use by nature photographers. 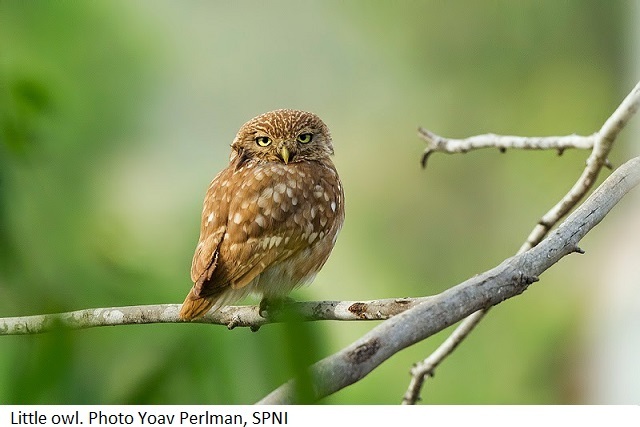 Drafted by Ohad Hatzofe from the Israel Nature & Parks Authority; Dan Alon, Jonathan Meyrav and Meidad Goren from the Society for the Protection of Nature in Israel; and Micha Mendel and Moshe Cohen from the Israeli Society of Nature Photography.